Din A4 format sheet printed in four colours on both sides. Measures of the product: 29.7 cm wide x 21 cm high. – FRONT: presentation of the municipality and the city with a collection of photographs, the shield, title or name of the municipality and the website of the municipality or QR code. Descriptive text and photographs with: location of the municipality, geographical description, history, tourism, culture, gastronomy, brief directory and “what to visit”. – BACK: Map of the villa. Din A3 format sheet printed in four colours on both sides. Product dimensions: 42 cm wide x 29.7 cm high. – BACK: Map of the city and if deemed convenient, map of the entire municipality. Din A4 format sheet printed in four colours on both sides and folded in a wraparound triptych. Measures of folded product: 9.9 cm wide x 21 cm high. Measures of the product unfolded: 29.7 cm wide x 21 cm high. – Cover, with a collection of photographs of the municipality, the coat of arms, the title or name of the municipality and the website of the municipality or the QR code. 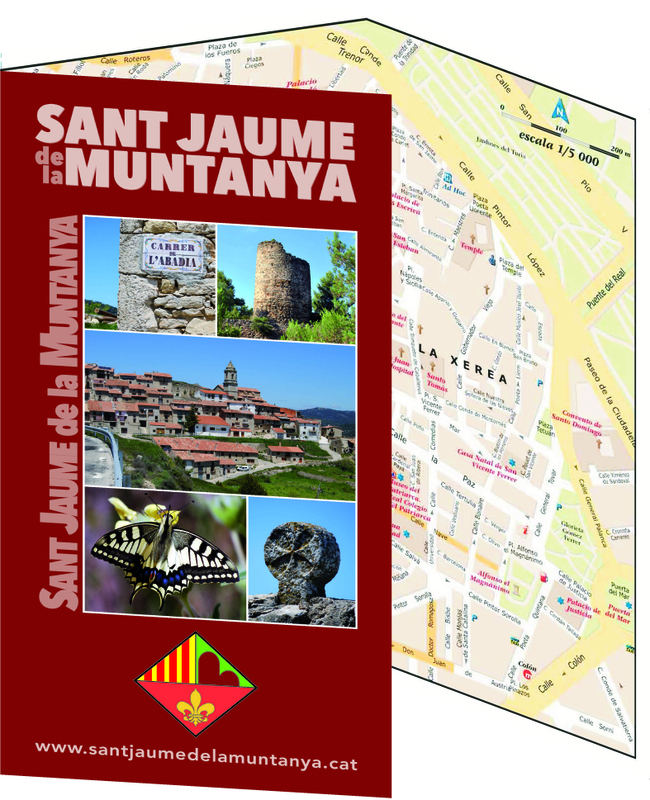 – FRONT: Descriptive text and photographs with: location of the municipality, geographical description, history, tourism, culture, gastronomy, brief directory and “what to visit”. 8-page booklet of Din A5 format (14.8 cm wide x 21 cm high) bound with a metal staple on the back and printed all in four colours. – Pages 2 and 3: location, geographical description of the municipality and “what to visit”. – Pages 4 and 5: plan of the villa. – Pages 6 and 7: history, tourism and gastronomy. – Page 8: routes and brief directory of the municipality. 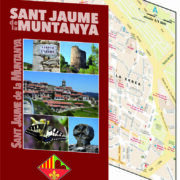 8-page Brochure in Din A5 format (14.8 cm wide x 21 cm high) bound with a metal staple on the spine and printed all in four colours with the description, images, recommendations, timmings, waypoints and all Necessary to safely travel a route through the municipality, whether in urban or natural environment. A link is provided for downloading the GPS track. – Pages 2 to 5: introduction and detailed description of the route. – Page 6: map of the route. – Page 7: vegetation and fauna of the area. – Page 8: activities, lodging and catering near the route.